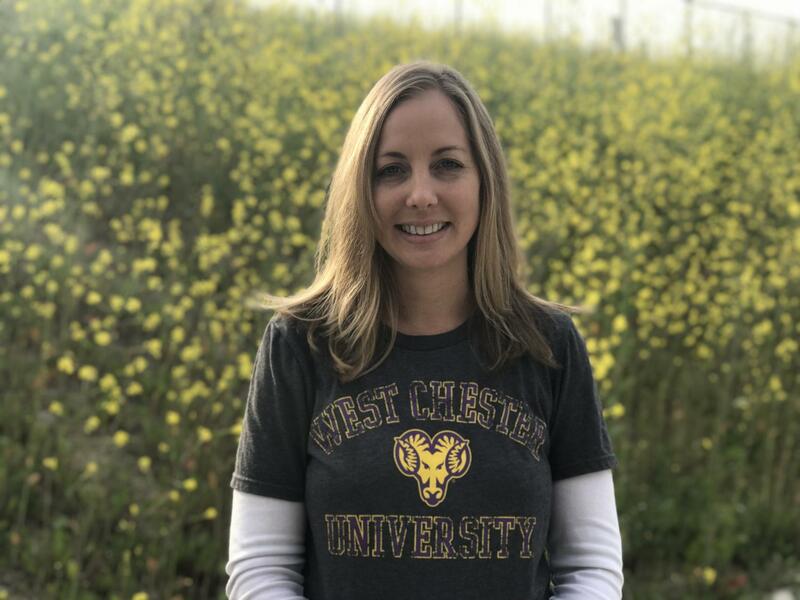 She returned from medical leave and will teach two Biomed classes. 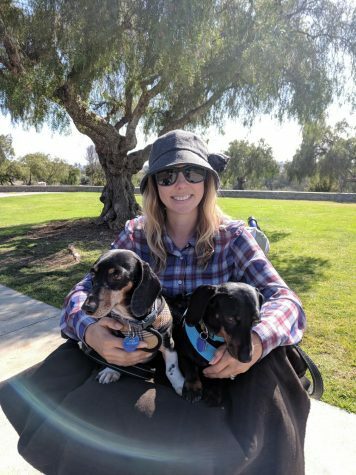 Juli Bachman enjoys a day at the park with her dogs Watson and Bernard. In Bachman’s free time, she likes spending time with her dogs and exploring the outdoors. Q: How has the transition back to Sage been? A: It’s been a little tough to go from being very sick and at home or in a hospital on bedrest and under the care of doctors, to then all of a sudden back at work and back to a routine. All the little things that we take for granted, take a lot of energy from me.Then to be the person in charge now, making sure I have the lessons ready and the copies ready, that’s been a big adjustment and it’s very tiring, but it’s also a lot of fun to get back into teaching. Q: What would you say you’re looking forward to most this trimester? A: Just the little things. I have a lot of fun planning lessons and adding little videos to describe the biological process or just those little steps, the daily things are what I really like to do in teaching to help my students. Q: What is your teaching philosophy? Do you feel like it’s changed since you’ve been on medical leave? A: It’s changed a little bit in that I’m learning that I don’t have to be the main person all the time, that I can give students more responsibility. I still plan the overall lessons and things like that, but I can have students help more and give them more responsibility and then they step up more. Last year when I couldn’t physically pass out papers or do things, I had to ask for help and students were eager and happy to be able to be the ones to help so that was a nice eye-opening thing. So asking for help is something that I had to learn. A: Well I have two dogs, so I love going on walks with them or going to the park. I can’t quite do it yet, but we love to go on hikes in the area or the doggy beach.